While DIY is a very fun and rewarding pursuit, for some tasks it’s simply better to call in the professionals. For example, when it comes to fitting blinds, in the long run it pays to hire an expert simply due to the precision nature of the task. Depending on the type of blind you want to fit, you will need to consider the shape and size of your windows before measuring them, so it’s not something you want to rush! To ensure you don’t make a costly mistake, read on to find out what our expert fitters have to say. Blinds aren’t cheap – this is something you will have learnt simply from browsing the internet. What’s more, once installed, your blinds will become the focal point of the room in which they are fitted, adding a real homely touch. This is why – when it comes to installing them – you want to get it right first time. However, if you’re doing it yourself, this won’t be easy. If you have never fitted blinds before, then you probably won’t be aware of the excess that you need to add on to your measurements: ‘recess width’ and ‘recess drop’. If you fail to account for these excesses then your blinds could end up being too wide or too long, meaning that you would have to get them refitted anyway! While some people are quite happy to spend days tinkering, watching YouTube videos and trying to balance on that old step ladder they found in the shed that really needs replacing, most people don’t feel this way. For many people, the pressure you feel when you have to get the job done perfectly is immense and, if at all possible, is something they would rather avoid, given the chance. 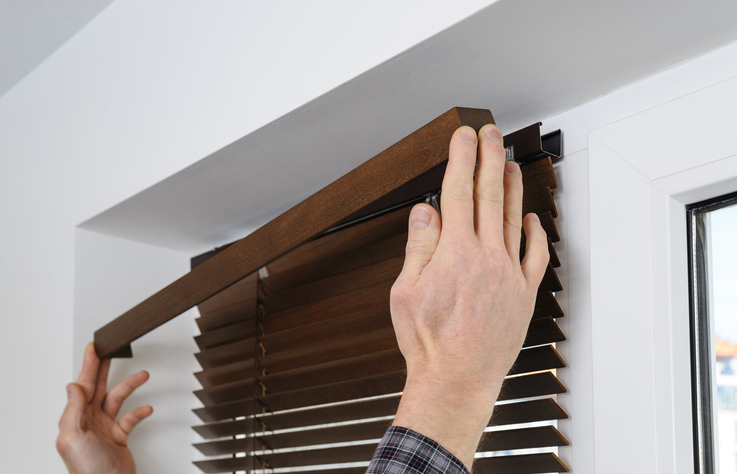 When you hire a professional blind fitter with all of the right skills and all of the right tools, you save yourself all of that time and frustration and, in the end, your blinds will look immaculate. Most people who are taking it upon themselves to measure and fit their blinds are probably doing so because they think they are saving money. However, when you choose a company like Sunstopper Blinds, you will receive a free local measuring service directly at your property to ensure your chosen window dressing is accurately made to measure, before being provided with a no obligation quotation. Sunstopper Blinds supplies high-quality blinds at affordable prices throughout Ware, Hertford, Welwyn Garden City and the wider Hertfordshire area. Our range of products includes wooden blinds, Luxaflex blinds, vertical blinds, canopies and awnings, to name just a few, and our expert fitters ensure that your blinds are installed perfectly into your home with minimal fuss. For more information on any of our products, contact one of our knowledgeable advisors today. We’ll be happy to help with any enquiries you may have.